The three key factors to consider when researching LASIK surgery are the skill of your surgeon, the pre-screening technology utilized and the technology used during the actual LASIK surgery. • The Skill of Your Surgeon: First and foremost, LASIK is a surgeon-dependent corneal procedure. Although a portion of LASIK surgery is computerized, manual manipulation of the cornea is still necessary. The corneal flaps created in LASIK are thinner than a human hair. Surgeons who are cornea-fellowship trained are best equipped to perform LASIK as they are specifically trained in microsurgical techniques of the cornea. Ideally, your surgeon should specialize in laser vision correction procedures. The most skilled LASIK surgeons have performed tens of thousands of successful LASIK surgeries. Success rate is also surgeon-dependent. Don’t be afraid to ask your surgeon what their success rate is for your prescription range. Another important statistic to research is the surgeon’s enhancement rate, which is the need for a second LASIK procedure. An enhancement is necessary when patients don’t get their desired result after the first procedure. Click here to learn more about Dr. Mandel. VISX Wavescan Imaging: Wavescan imaging employs wavefront technology which creates a fingerprint of your eye. This fingerprint includes your refractive error, better known as your prescription. The wavefront analysis measures the speed of photons reflecting from your retina. The system converts these wavefront measurements into color and numerical representations of your optical system creating a unique visual profile, or fingerprint of your eye. Click here to learn more about how wavefront technology works. Atlas Corneal Topography: Topography is an indirect representation of your cornea. From this measurement, a color map is generated which highlights the curvature of the cornea and quantifies the amount of astigmatism present. Pentacam Tomography: This is one of the most sophisticated screening technologies available. Tomography primarily measures the thickness of the cornea. At Mandel Vision, a significant number of patients are turned away as less than optimal candidates because of findings that only this machine is able to uncover. Click here to learn more about how pentacam technology works. Just having the most advanced technology is not enough, as interpretation of the results is critical to determining candidacy. This is where the skill of the surgeon once again comes into play. • LASIK Surgical Technology: Dr. Mandel exclusively uses iLASIK technology for all of his LASIK patients. iLASIK is the latest technology and the only advanced all-laser procedure that NASA has approved for use on astronauts. This technology combines the VISX Wavescan imaging technology with iris registration, the all-laser method of flap creation with the IntraLase Femtosecond (FS) Laser and the CustomVue wavefront guided vision correction procedure with the VISX Star S4 Excimer Laser. VISX Wavescan Imaging: See above. 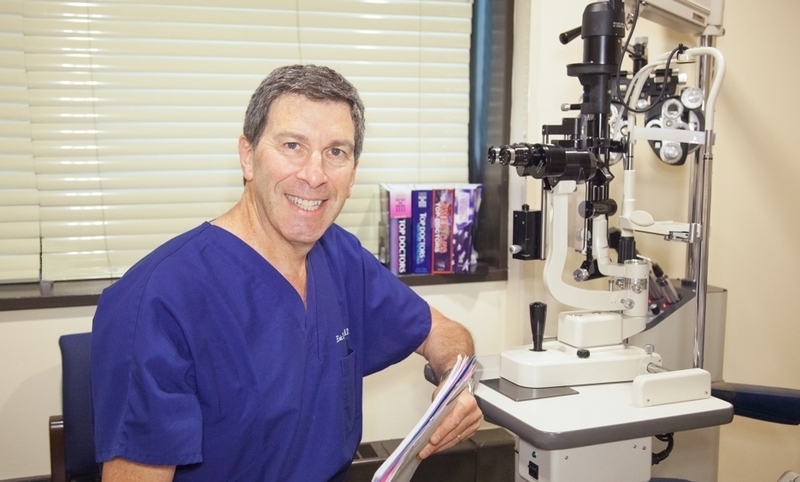 IntraLase Femtosecond Laser: The IntraLase laser allows Dr. Mandel to use blade-free technology for performing the critical first step in LASIK surgery: the creation of the corneal flap. The creation of this flap is what enables an almost immediate return of your best corrected vision. More than 99% of our nearsighted patients go back to work, drive and return to most all of their normal activities the day after LASIK with Dr. Mandel. Click here to read more about IntraLase technology. VISX Star S4 Excimer Laser: This is the cool-beam laser which is used to gently sculpt the cornea beneath the flap to correct your prescription. The amount of tissue removed by the excimer laser is customized by Dr. Mandel using wavefront technology. Click here to read more about excimer laser technology. As with pre-screening technologies, the skill of the surgeon combined with the most advanced LASIK surgical technology is critical. The best analogy for this is a master carpenter combined with master tools. You need both for the most optimal LASIK result. Although the above are our top 3 factors to consider when researching LASIK, there are many other components that should be included in your decision-making process. The most important component is your LASIK surgeon. To learn more, read our blog: How to Choose a LASIK Surgeon. LASIK and PRK: Change Your Vision, Change Your Life! LASIK vs. PRK: Which Procedure is Right for You? Click here to return to our main blog page.